This is the best known subgroup of all the medulloblastomas and has been identified in 10-15% of patients. The average age of occurrence is 10 years old and it is more commonly found in females. These tumours often occupy the fourth ventricle; the fluid filled space in the middle of the posterior fossa. This type of medulloblastoma frequently occurs in both infants (under three) and adults (over 16), but are less frequent in children aged three to sixteen. SHH medulloblastoma is commonly associated with a condition known as Gorlin syndrome, due to a gene mutation that causes the over-activation of cells, leading to the formation of a tumour. This type of medulloblastoma occurs more commonly in males than females, and are most common in young children ranging from one to ten years old. At diagnosis, these are often metastatic (already spread to other parts of the brain and spinal cord). Similar to the WNT medulloblastomas, the tumour is generally located within the fourth ventricle. This is the most common subgroup of medulloblastoma, making up around 35-40% of all cases. These tumours can occur in all ages but are most prevalent in mid-childhood. Unfortunately, a full genetic test to determine the type of medulloblastoma that your child may have is not yet routinely available on the NHS, however hospitals are developing the techniques to be able to do this in the near future. What are the symptoms of a medulloblastoma? 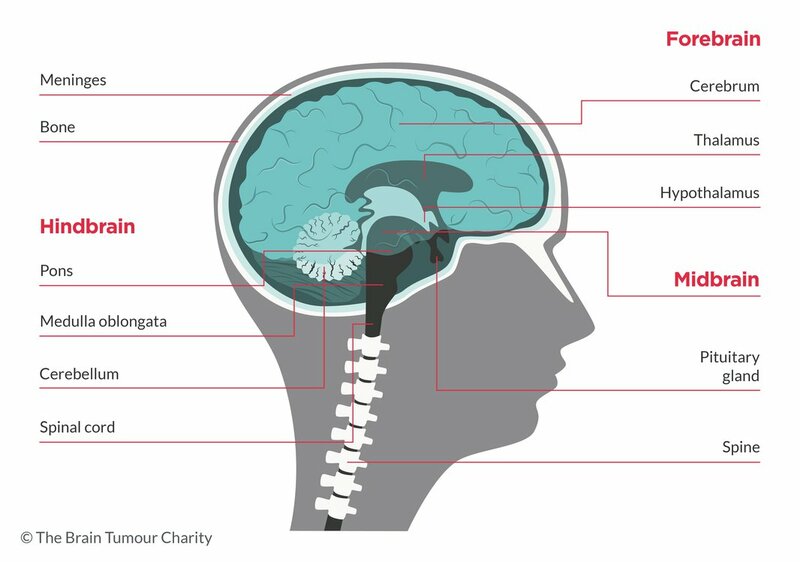 In some cases, the tumour can spread to the spinal cord, causing another set of symptoms, such as back pain, an inability to control the bowels and bladder and difficulty walking. Are there any genetic tests available for my child? Dr Gajjar discusses embryonal tumours, including Medulloblastoma, PNET and ATRT and NPID, National Paediatric Information Day, 2016.